DEMAND has collaborated with both academic visitors, and business and policy partners, during its five years of operation. To see what some of our business and policy partners have said about the experience of working with DEMAND, read some of their reflections here. To see what our academic visitors have had to say about the experience of working with DEMAND, read some of their reflections here. Or scroll down the page to find out more detailed information about some of our academic visitors. Tomas Ariztia was a Visiting Researcher at the DEMAND centre in early summer 2016. 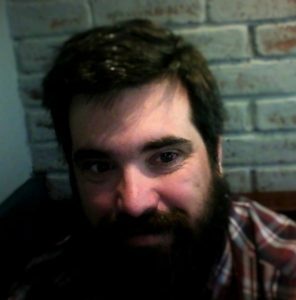 He is Associate Professor at the Sociology department of Diego Portales University, Chile and Deputy Principal Investigator of the Research Nucleus on Energy and Society (NUMIES). His energy related research interest concerns sustainable consumption, energy use and energy infrastructures. He is also interested in studying the sociomaterial organization of consumption and the ethnography of business practices and devices. During his visit, he worked on developing the theoretical and empirical aspects of NUMIES´ ongoing research focused at researching heating practices and infrastructures in Chilean households. Thomas’ reflections from his visit. Thomas’ seminar – A sociology of household energy infrastructures: The case of the stove replacement program in rural Chile. Mikkel Bille was a Visiting Researcher at the DEMAND Centre until the end of May 2016 and joins us from Roskilde University, Denmark. With an anthropological background in material culture studies his work explores the social role of light and lighting in everyday life. 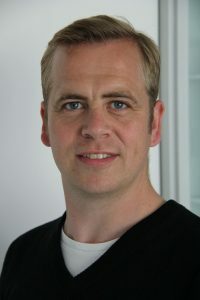 His most recent work focused on the introduction of energy saving light bulbs in Denmark and Jordan in a comparative study of lighting culture in the domestic sphere – the practices of lighting up the home, the meanings attached, the social spaces it shapes, and the atmospheres lighting helps create. Read Mikkel and fellow DEMAND visitor Yolande’s: The temporal dynamics of being an international visiting scholar. Mikkel’s seminar – Is being incompetent and ignorant all the bad? Insights from the transition to energy saving lightbulbs in Denmark. Heather Chappells was a Visiting Researcher at the DEMAND Centre during Summer 2014. She is currently an adjunct professor in the Department of Geography at Saint Mary’s University in Halifax, Nova Scotia, Canada. Her energy-related research focuses on the socio-technical construction of demand in energy systems, conceptualizations of comfort in a changing climate and more recently on the dynamics of demand in the context of disruption. During her visit she will investigate how cultural, societal and institutional responses to past energy disruptions have shaped future demand trajectories and what this implies for adaptation to “new normal” disruptive conditions associated with climate change. Heather’s reflections from her visit. Heather’s seminar – Back to normal? Demand in the aftermath of disruption. 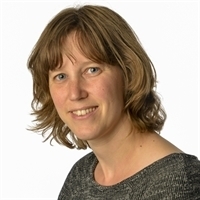 Mandy de Wilde is a visiting researcher at the DEMAND Centre during October 2017. She is a sociologist and works as a postdoctoral researcher at the Environmental Policy Group at Wageningen University, the Netherlands. 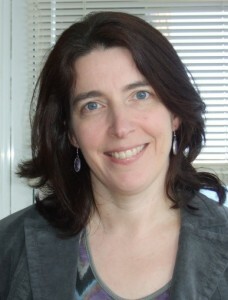 She currently contributes to two research projects: one that focuses on the role of strategic intermediary organisations in assembling an energy retrofit market in the Netherlands and a research project that focuses on the role of family and gender dynamics in decision-making processes with regard to energy retrofit measures at home. Currently, she is working on a research proposal that focuses on how energy demand is shaped by and affects family and gender dynamics at home trying to integrate insights from the sociology of emotions and gender studies into existing scholarship on sustainable consumption. During her visit at DEMAND she will discuss and explore the possibilities for operationalizing affects and/or materiality into a practice-based account on how families enact (sustainable) belonging in domestic consumption practices. Mandy’s reflections from her visit. Mandy’s seminar – Sustainable belonging: Family and gender in home making practices. Benjamin Görgen is visiting the DEMAND Centre between October-December 2017. He is a PhD candidate and member of the Graduate School of Sociology at the University of Münster, Germany. 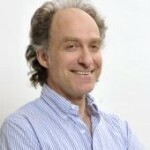 His fields of interest are environmental sociology, social movement research and sustainability research. 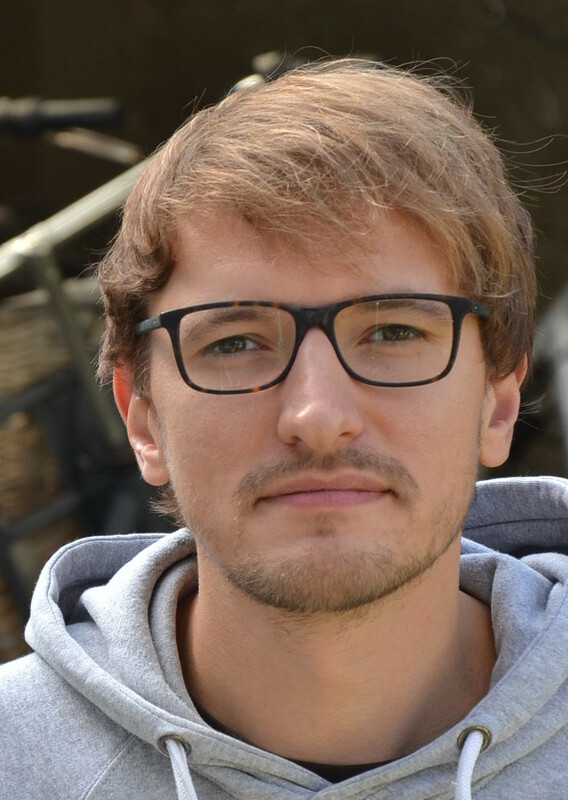 He is doing his PhD on the sustainability potentials of communal living projects in the urban area and is particularly interested in the question how and under what conditions sustainable practices emerge and evolve. 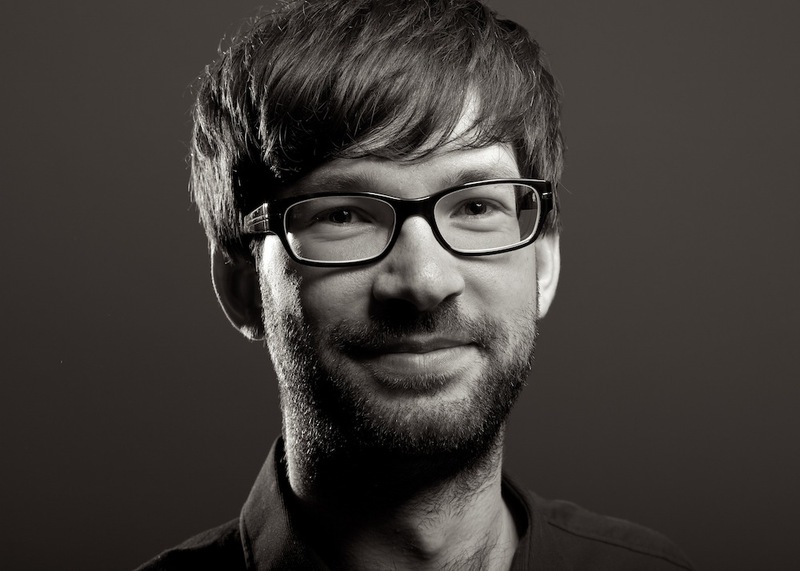 Since 2015 he has been one of the editors of the German online paper “Soziologie und Nachhaltigkeit (SuN)” that focuses on the connection between sociology and sustainability. Ben’s reflections from his visit. Ben’s seminar – Sustainable Living in Communal Housing Projects. 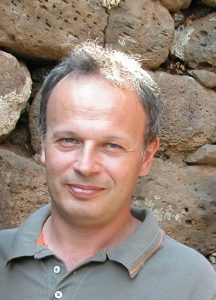 Benoit Granier is a Visiting Researcher in the DEMAND Centre from October 2017 to February 2018. 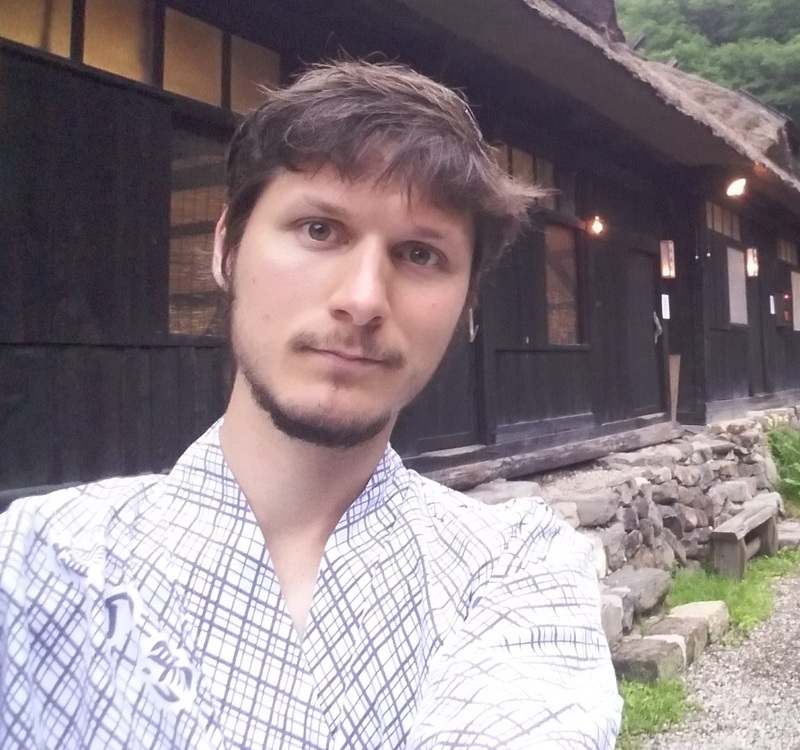 After having been Assistant Professor in political science and Japanese studies at Sciences Po Lyon, he is currently Associate Researcher at the Lyon Institute of East Asian Studies. In his PhD thesis, he analysed the transformation of Japan’s behaviour change policies in the fields of energy efficiency and climate change in the years 2000 and 2010. His doctoral research especially examined how policy tools based on behavioural sciences, such as nudges and Home Energy Reports, were transferred from the US to Japan. He also intends to explain why some knowledge are used in public policies while others are not, with the implementation of behavioural sciences — instead of other approaches, such as social practice theories — as a case study. Benoit’s reflections from his visit. Benoit’s seminar – Pathways of change: Cool Biz and the reconditioning of energy demand in the office. 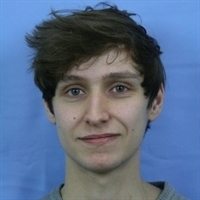 Conor Harrison visited the Demand Centre during June and July 2014 from the University of South Carolina in Columbia, South Carolina. His research focuses on the mutual constitution of energy supply and energy demand, particularly the way energy infrastructures have interacted and been shaped historically by interactions with various economic, social, and cultural geographies. 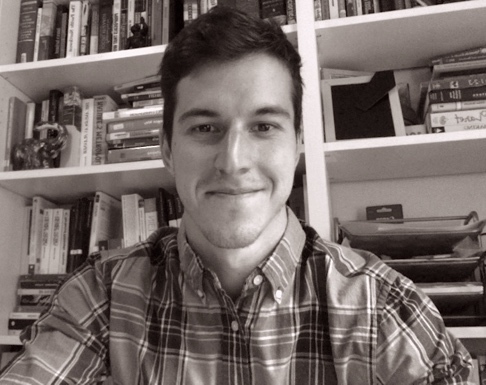 His current project focuses on how large-scale regional electric power planning systems in the US were predicated on a particular type of ideal industrial and residential energy consumer. Conor’s reflections from his visit. Conor’s seminar – Incorporating space and time into energy research in the Southern United States. Sanneke Kloppenburg was a visiting researcher at the DEMAND Centre for two weeks in April 2016. She is a postdoctoral researcher at the Environmental Policy Group at Wageningen University, The Netherlands. Her research interests converge around the use of new technologies in the context of energy systems, mobility, and border control. Together with colleagues Robin Smale and Nick Verkade she is currently involved in a project on emerging energy practices in the smart grid. As part of her visit to the DEMAND Centre she conducted fieldwork on the role of householders in community and domestic electricity storage in smart grids. Sanneke’s reflections from her visit. Sanneke and fellow DEMAND visitor Nick Verkade’s seminar – Emerging energy practices around decentralised storage of electricity. Marius Korsnes was a visiting researcher from January – March 2017. 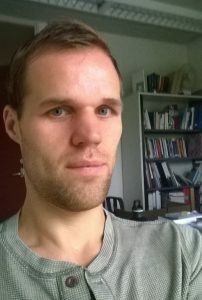 He is a post-doctoral fellow at the Department of Interdisciplinary Studies of Culture at the Norwegian University of Science and Technology (NTNU) in Trondheim. His research is connected to the Centre for Sustainable Energy Studies (CenSES) and the Research Centre on Zero Emission Neighbourhoods in Smart Cities (ZEN), and focusses on the role of ‘prosumers’ and new forms of energy use in low-energy buildings and neighborhoods. He compares prosumers with respect to energy use and household practices in urban dwellings and neighborhoods in China, Norway and Germany. He wrote his PhD thesis about China’s wind power industry, and the thesis was entitled ‘Chinese Renewable Struggles. Innovation, the Arts of the State and Offshore Wind Technology’. Read more about prosumption and energy demand. Marius’ reflections from his visit. Nicola Labanca was a Visiting Researcher at the DEMAND Centre in July and August 2016 and joined us from the Institute of Energy and Transport of the Joint Research Centre of the European Commission. He is a physicist who has been working at the design, implementation and evaluation of energy conservation policies since 2002. 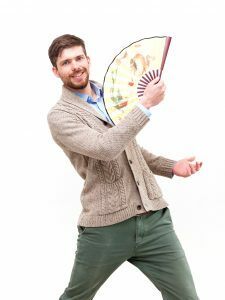 He is currently interested in studying instruments and more recent human artefacts like complex systems as constituents of rituals and mythopoetic ceremonies, engaging and generating misleading certainties in people, and mainstream policy makers and researchers working on energy sustainability. 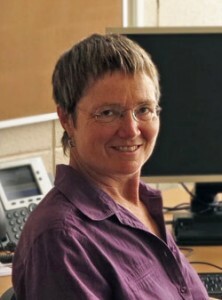 By building on a historical enquiry on instrumentality developed by Ivan Illich, Carl Mitcham and other scholars, Nicola tries to highlight how the above mentioned situation can prove counter-productive and works at identifying alternative approaches that can be adopted to design and implement policies for a sustainable transition to renewable energies. He is currently working on a book which explores these ideas. Nicola’s reflections from his visit. Nicola’s seminar – Energy transitions in the age of complex systems: Understanding current energy transitions through an historical enquiry on instrumentality. Ruth Lane is a Visiting Researcher at the DEMAND Centre from late July till the end of August 2017 and joins us from Monash University in Melbourne, Australia. Ruth’s research is focused on the interface between resource consumption, social change and environmental governance. From 2013-16 she led a Monash University interdisciplinary research team on a CSIRO Flagship Cluster research program called Wealth from Waste which examined the potential for more advanced metals recycling in Australia (http://artsonline.monash.edu.au/wfw/) . A key focus of the Monash research was the proliferation of electronic products in Australian households. Her DEMAND Centre fellowship draws on these research materials to explore the implications of domestic IT use for energy demand, focusing in particular on the connections between life course transitions and IT use. Ruth’s reflections from her visit. Ruth’s seminar – Communications Technology, Life course Transitions and Energy Demand. Anthony Levenda was a Visiting Researcher at the DEMAND Centre during May and June 2017. He is a postdoctoral researcher in the School for the Future of Innovation in Society at Arizona State University (ASU), in Tempe, Arizona. 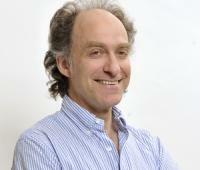 His research focuses on the politics and governance of smart grid technologies and urban energy transitions. His PhD dissertation investigated the socio-historical co-construction of the smart grid and “smart consumers” in US energy policy, the implementation of urban smart grid projects and zero-energy districts, and the mobilities of models, knowledge, and expertise for urban smart grid projects. His current research, as a part of the STIR Cities project at ASU, utilizes ethnographic studies of experts developing smart city technologies and programs to understand on how experts integrate social complexity into their work. Anthony’s reflections from his visit. Anthony’s seminar – Configuring the Urban Smart Grid: Transitions, Experimentation and Governance. 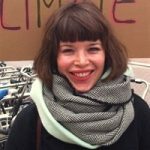 Elspeth Oppermann was a Visiting Researcher at the DEMAND Centre for 12 weeks from the 18th of July to the 7th of October 2016. She is a Research Fellow in the Northern Institute, Charles Darwin University, Australia. As a human geographer with a background in adaptation to extreme weather and climate change, her current focus is on how outdoor, labour-intensive workers manage heat stress in their everyday lives in Australia’s tropical monsoon zone. While at DEMAND, Elspeth engaged in discussions and writing about rhythms of social practices, domain-crossing practices, and questions of power and ethics in relation to the normalization and transformation of practices and the responsibilization of practitioners. Elspeth’s reflections from her visit. Elspeth’s seminar – Managing Heat Stress Within and Across Domains: Outdoor workers, rhythm and responsibility in Australia’s monsoonal North. Kimberley O’Sullivan is a visiting researcher at the DEMAND Centre in October and November 2017. She is a Research Fellow at He Kainga Oranga / Housing and Health Research Programme at the University of Otago, Wellington, New Zealand. With a background in Public Health, Kimberley’s research interests are the relationships between energy vulnerabilities (fuel poverty), energy use behaviours, energy efficiency of housing and buildings, and the interaction of these with health. Her latest work explores energy use while working from home. Kim’s reflections from her visit. Kimberley’s seminar – The energy-time-bind. Claudia Serwah Prempeh was a visiting researcher at the DEMAND Centre in March 2017. She is a Junior Fellow with the Bayreuth International Graduate School of African Studies (BIGSAS) at the University of Bayreuth, Germany where is she is pursuing a PhD in Culture and Technology. She holds an MPhil in Development Studies from the University of Cambridge. Her PhD is titled Powering Ghana? “Dumsor”, a study of electricity and its absence. Her research interests are in the field of electricity use and management, energy policy and governance in the developing economies. Claudia’s reflections from her visit. Claudia’s seminar – Do we have lights? Lived realities and coping strategies for ‘dumsorlogy’. Giuseppe Salvia was a Visiting Researcher at the DEMAND Centre until February 2017 from Politecnico di Milano. With a background in product design, sustainable consumption and production, Giuseppe intends to explore how everyday practices are reconfigured by the spreading of the Internet of Things (IoT) and ‘smart’ automated devices, such as self-driving vehicles and domestic thermostats. The research will focus on skill distribution and negotiation with smart technology and the implications for energy demand. Giuseppe’s reflections from his visit. Giuseppe’s seminars – Smart technology vs. smarter people? & Is my vacuum cleaner actually broken or just my attitude to maintenance? 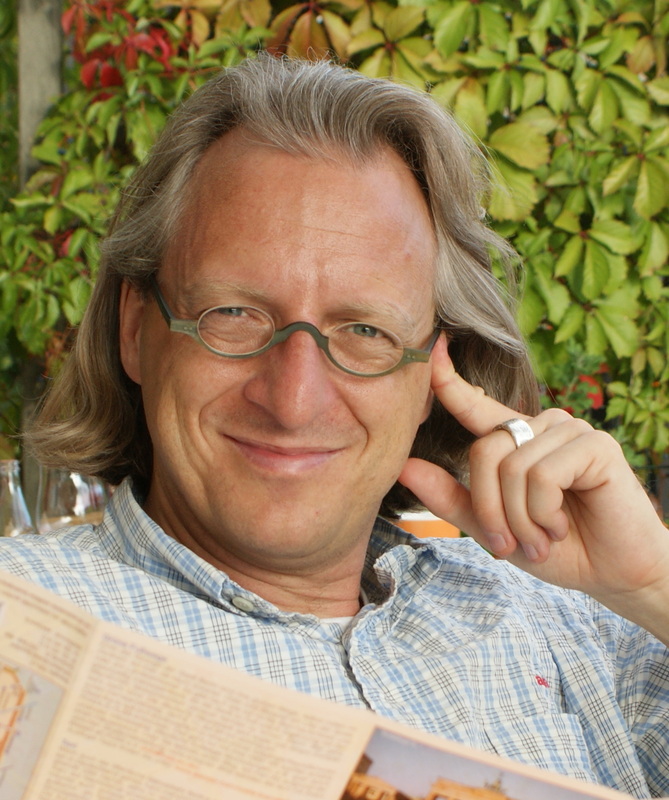 Hilmar Schäfer visited the DEMAND Centre as a researcher from January until March 2015. 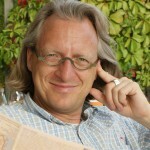 He is a cultural sociologist at Europa-Universitaet Viadrina, Frankfurt (Oder), Germany. His areas of research include social theory and the sociology of art. In his PhD thesis, he asked how practice theory can account for social change. 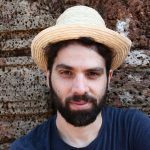 In his postdoc research, he looks at the specialized and vernacular practices that construct cultural heritage, especially the notion of “world heritage”. He is particularly interested in the relationship between buildings and practices and is engaged in developing methods for the sociological study of architecture. Hilmar and DEMAND researcher, Allison Hui, have put together a blog that discusses and debates the relationship between methodology and practice theory: Practice Theory Methodologies. Hilmar’s seminar – Sociology of architecture and cultural heritage – A praxeological approach. Ted Schatzki visited the Demand Centre during June and July 2014 from the University of Kentucky where he is Senior Associate Dean (Dean of Faculty) in the College of Arts & Sciences, Professor of Philosophy and Geography. His research and teaching interests lie in social ontology, theory of action, social theory, the philosophy of social science, and 20th-century continental philosophy. He is the author of four books: Social Practices (1996), The Site of the Social (2002), Martin Heidegger: Theorist of Space (2007) and The Timespace of Human Activity (2010). Ted’s reflections from his visit. Ted’s seminar – Practices and large scale phenomena. Robin Smale was visiting researcher at the DEMAND centre for three weeks in May and June 2016. 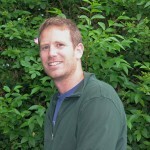 He is PhD candidate at the Environmental Policy Group, Wageningen University, The Netherlands. 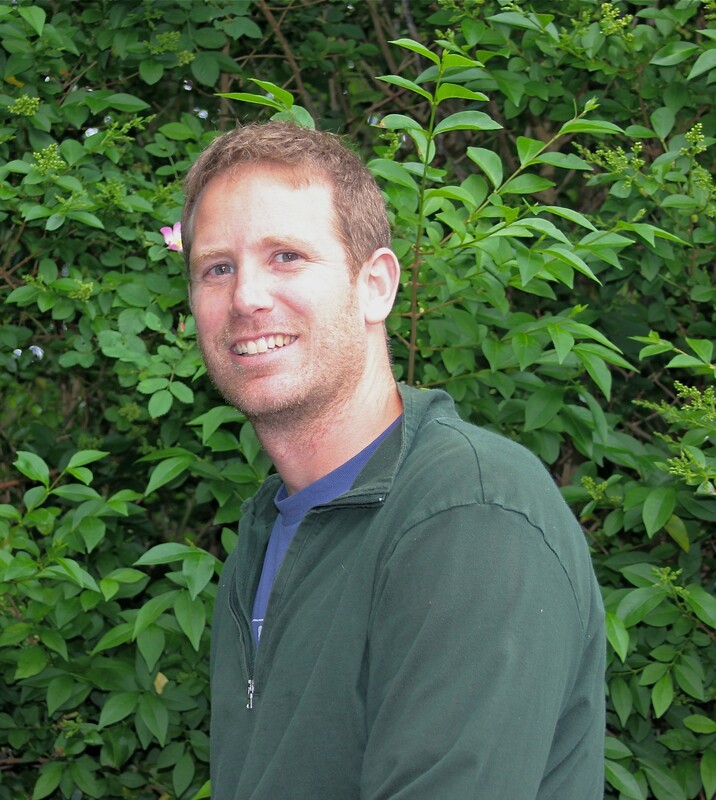 Robin Smale has a MSc degree in Environmental Sciences from Wageningen University. His research project, titled Emerging Energy Practices in the Smart Grid, investigates the smart grid transition from a social practices and householder perspective. In collaboration with Sanneke Kloppenburg and Nick Verkade, he conducted fieldwork on the role of householders in community and domestic electricity storage in smart grids. Robin’s reflections from his visit. Michael Stau ffacher visited the Demand Centre May to July 2014. He is ad interim co-head of the chair “Natural and Social Science Interface” and core team member of the Transdisciplinarity Lab of the Department of Environmental Systems Science at ETH Zürich. His research has a problem-focus, starting from real-world problems, trying to disentangle their complexities by an integrated approach linking different disciplinary perspectives. Close interaction with societal actors is of key importance for him, both in co-designing the research and co-producing knowledge throughout the whole process. Michael’s seminar – Research that matters: How to co-design research and co-produce knowledge for scientific and societal impact. Yolande Strengers returned as a Visiting Researcher at the Demand Centre from April to July 2016. She is a Vice Chancellor’s Senior Research Fellow at RMIT University, Australia, in the school of Global Urban and Social Studies. Her research is clustered around a series of applied research projects focused on how ‘smart’ technologies are being integrated into everyday and professional life. At RMIT’s Centre for Urban Research, Yolande co-leads the Beyond Behaviour Change Research Program. She has recently published a book on ‘Smart Energy Technologies in Everyday Life’ (Palgrave Macmillan, 2013). Yolande’s reflections of her previous visit in 2014. Yolande’s reflections from her 2016 visit. Read Yolande and fellow DEMAND visitor Mikkel’s, The temporal dynamics of being an international visiting scholar. Yolande’s seminars – Creating pleasance: New needs for the smart home. & Pet care practices and the practices of pets. Nick Verkade visited the Demand Centre for three weeks during April and May 2016. He is a PhD candidate in the faculty of Industrial Engineering & Innovation Sciences at Eindhoven University of Technology, the Netherlands. The URSES project aims to build insight into the development of domestic energy management technologies and practices. Nick focuses on the role of provider-side actors in the design of domestic energy practices. In collaboration with Sanneke Kloppenburg and Robin Smale, he conducted fieldwork on community and domestic electricity storage in smart grids. Nick’s reflections from his visit. Nick and fellow DEMAND visitor Sanneke Kloppenburg’s seminar – Emerging energy practices around decentralised storage of electricity. 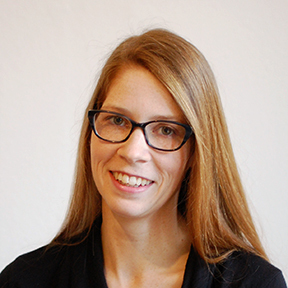 Susann Wagenknecht is a postdoctoral researcher at the Department of Social Sciences at the University of Siegen. Her research concerns the interplay of infrastructures and practices of technology use, repair and maintenance. She is also interested in social theory, especially in notions of practice, and seeks to combine her conceptual interests with the empirical insights gained in ethnographic fieldwork. In her current field work, she investigates practices of municipal traffic management and traffic planning, practices that impose temporal and normative orders upon public space. Susann’s reflections from her visit. 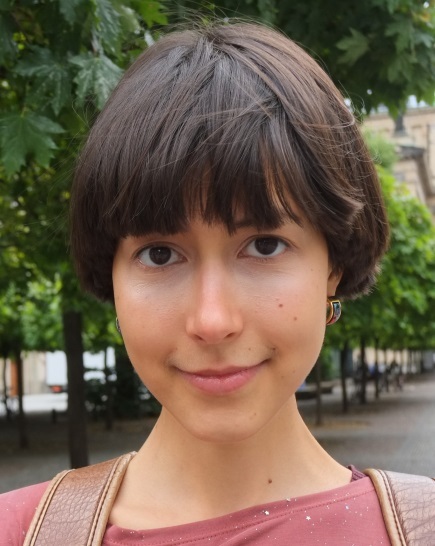 Susann’s seminar – Accommodating algorithms: Rules, regularities, and infrastructural power in municipal traffic management. Anna Wanka is a post-doctoral researcher at the Research Training Group “Doing Transitions” at Goethe-University Frankfurt on the Main and Eberhard Karls University Tuebingen, Germany. Her research is concerned with the praxeological constitution of the life-course and life-course transitions, focusing on retirement. During her visit she will investigate how leisure – and particularly travel – practices change when people retire and what kind of infrastructures, material arrangements, discourses and symbols as well as competences and knowledge these practices draw upon. On a more general level she wants to discuss and explore how we can ‘praxeologise’ the life-course both theoretically and methodologically. Anna’s reflections from her visit. Anna’s seminar – Doing retiring: The social practices of transiting into retirement and their implications for energy demand. 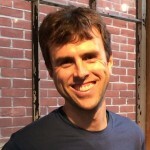 Alan Wiig is a Post-Doctoral Fellow at Temple University’s Office of the Vice-Provost for Research and the Urban Apps and Maps Studios. 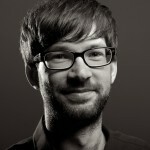 His work examines the spatial consequences of digital technologies and the Internet, from data centers and mobile communication infrastructure to smart city policymaking, arguing that the contemporary, networked condition cannot be separated from the underlying digital connectivity that enables these new relationships. At DEMAND, he was researching the emerging social practice of charging mobile devices in public (smartphones, laptops, etc.) and the response of transportation providers to this demand for plugs and energy. Alan’s reflections from his visit. Alan’s seminar – Batteries, chargers and plugs: Charting the energy demands of mobile communication.